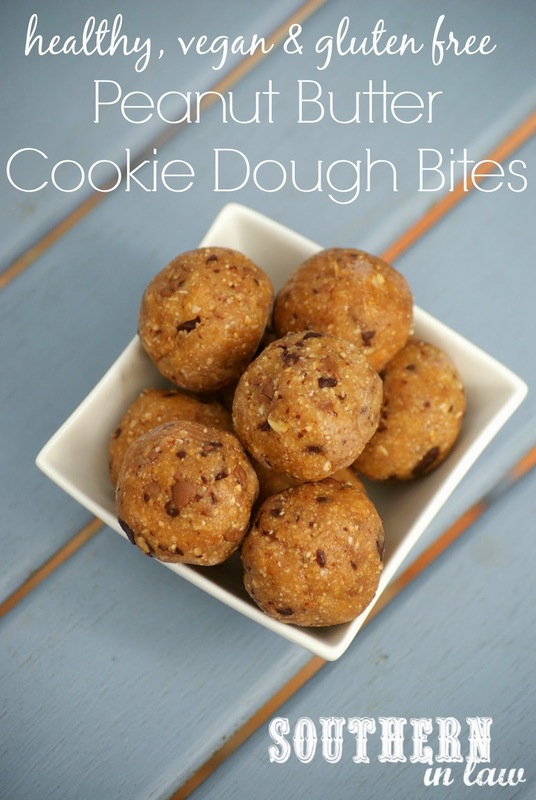 These days, however, I've found a new way to eat and love cookie dough - because I'm kind of obsessed with these cookie dough raw bites. The best part? You don't have to worry about getting sick! There's no eggs, no flour and no nasties - they're just healthy, gluten free, raw, vegan and all sorts of delicious. 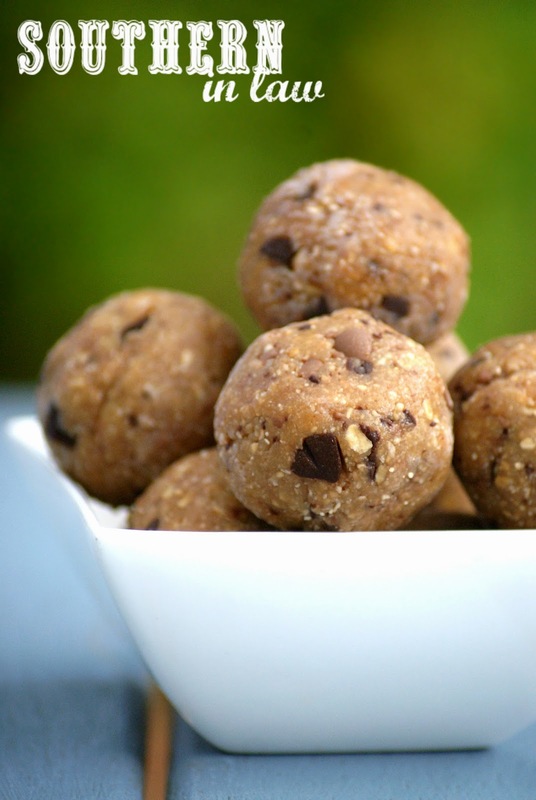 These Cookie Dough Raw Bites have become a favourite lately because they taste just like cookie dough - and when you have a husband who would happily spoon his way through a bowl of cookie dough or eat an entire batch of homemade cookies - this is the perfect healthy option! Add your peanuts and oats to your food processor and process finely chopped. Add in your maple syrup, coconut oil and vanilla and process until your mixture is combined. You may need a teaspoon or so of water for the mix to come together, but give it time! Add in your chocolate chips and pulse for a few seconds (or fold through the chocolate if you would prefer big chunks). Roll your mixture into balls and place onto a plate or cookie sheet before chilling in the fridge until firm. These cookie dough bites hold together best when they're cold and they'll stay fresh in the fridge for a couple of weeks or will stay fresh indefinitely in the freezer! *We like using dark chocolate but we've used a mix of milk and dark, white chocolate chips and milk chocolate chips too! You can also use cacao nibs or leave out the chocolate altogether if you're not a chocolate fan. But tell me, are you a cookie dough fan? What typical "kid favourite" food didn't you like as a child? Hey Theresa, you're definitely not alone! My Mum also hates onions! I kind of just want to make these and dip the whole thing in chocolate! That is an awesome idea, Annie! 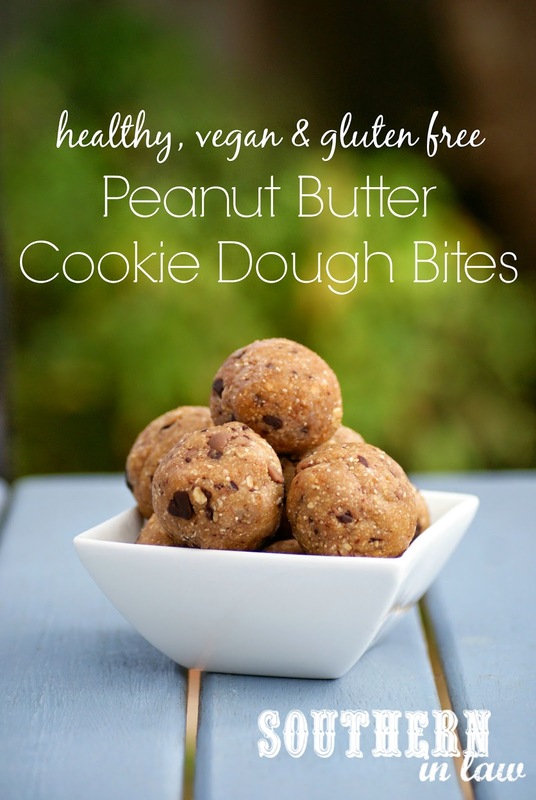 can you make these with peanut flour instead of the 1 cup processed roasted peanuts?